Blue Dream is the most popular strain of marijuana in the U.S. It originated in California and is legendary for giving users that “cool West Coast vibe.” This sativa-dominant hybrid is both relaxing and invigorating, and it gently eases you into a calm euphoria. Today, it’s a top shelf choice for a daytime high with a CBD level of 2%. Enjoy the sweet aroma of berries while toking on this feminized marijuana strain. With a high THC level of 21%, Blue Dream offers a heavy sedative effect, while delivering relief from various symptoms. This strain is commonly recommended to treat nausea, depression, pain and other ailments requiring high THC contents. When cultivated properly, Blue Dream seeds grow into tall plants reaching between 47 to 67 inches in height (roughly about 4 to 6 feet). It’s an easy plant to cultivate indoors. This strain can also be grown outdoors, as long as it’s protected from extreme weather changes. Because this marijuana strain has such a strong, sweet aroma, it tends to attract parasites. It’s very vulnerable when it comes to parasite infestations, such as the red spider mite. That’s why the simplest way to grow Blue Dream is indoors. But, you can grow healthy batches outdoors, as long as the climate is subtropical or Mediterranean. Growing Blue Dream indoors allows you to control the climate to perfection. This is also the simplest way to keep parasites away from your crops. Indoor growers must wait about 9-10 weeks for their plants to flower. They generally yield about 21 ounces of usable cannabis per square meter. Outdoor growers of the Blue Dream strain must take great lengths to protect their plants from outside elements. If successful, the harvest will take place sometime in October. 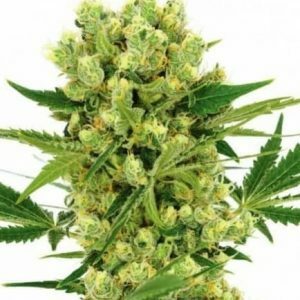 The expected yield should be about 21 ounces of usable marijuana per plant. 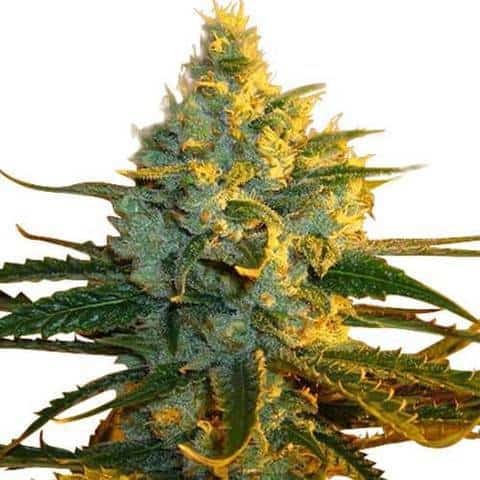 For an autoflowering version, try Blue Dream Auto seeds. The Blue Dream strain originated in the sunny California medical marijuana scene. It delivers the “cool Cali vibe” that makes it so popular on the West Coast. A cross between Blueberry Indica and Super Silver Haze, this strain is one of the most requested on the global market. Blue Dream is top shelf quality cannabis. It has a reputation for delivering an easy-going high, making it a top choice for a daytime strain. For a daytime pick-me-up, without an overpowering euphoria, this marijuana strain is the way to go. The Blue Dream cannabis strain is a legend in the California dispensary world. As a sativa-strong hybrid, it delivers a mood-altering high, as opposed to a heavy physical euphoria. It gives users energy while calming and relaxing them. This makes it the perfect strain to start your busy day. 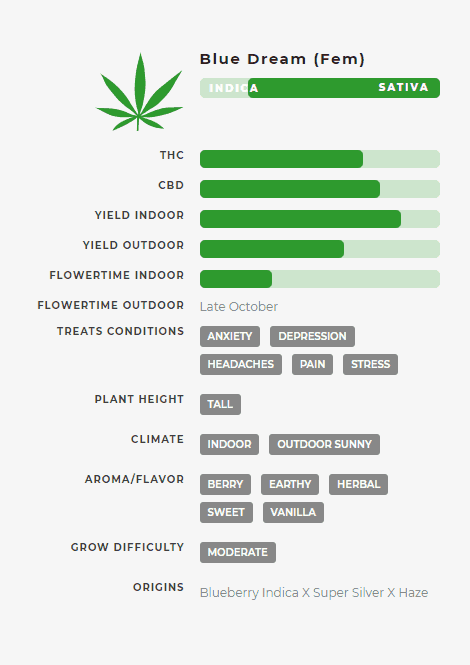 Known for its “chill” effect, this marijuana strain gives you full-body relaxation. You’ll feel calm while experiencing a gentle cerebral boost at the same time. Blue Dream maximizes your feel-good vibes, so you actually feel happy. It also encourages feelings of creativity and motivation. So, your brainstorming affairs help to spark wild, new suggestions, ideas, dreams, and goals. Allow Blue Dream to inspire your creative side while energizing you and piquing your imagination and originality. If you’re looking for a marijuana strain that doesn’t wear you out and lay you down, Blue Dream is it. You’ll find yourself in a floaty, dreamlike state. Yet, you’ll always have the energy you need to accomplish physical tasks and interact socially. There are very few adverse reactions reported by Blue Dream strain lovers. Some have reported dealing with blurred vision. Experts suggest this may have something to do with mild dehydration, which may lead to dry eyes. The trick here is to stay well-hydrated. In rare cases, some users feel a bit paranoid and slightly anxious. But, this is usually after consuming large amounts of Blue Dream. Like most strains of cannabis, you may suffer from “cotton mouth” which causes a dry throat and the need to cough. Some also complain about having mild headaches. Rumor has it that the Blue Dream strain of marijuana was created in a Santa Cruz, California medical cannabis lab. Either way, it causes a mellow, gentle high, making it a “go-to” medication for various chronic ailments. It’s a popular strain for treating both minor and major ailments, as it’s very effective at eliminating pain. This cannabis strain has the ability to relax both the mind and body, without making you feel drained and heavy. That’s why it’s such a great tool for managing pain and issues related to inflammation. As a mixture of Blueberry Indica and Super Silver Haze, the blueberry flavor is quite prominent in this strain of marijuana. Blue Dream delivers a luscious, fruity flavor that’s both enticing and pleasing to the palate. And, the aroma is just as pleasing. With each whiff, you’ll smell blueberry in the air, with traces of mango and sweet vanilla present. Behind the berry fragrance is a small hint of spice, making Blue Dream a “go-to” choice for fruit lovers and blueberry fanatics. Blue Dream tastes as amazing as it smells. It’s jam-packed with sweet berry flavors and tasty undertones of spices and herbs. The fruity characteristics are strong, yet very easy to inhale, consume and enjoy. There’s also a mild sourness which helps to balance out the many flavors. Although the flavors are strong and distinct, they are far from overwhelming. Blue Dream is a tongue-pleasing strain of cannabis, and one of the most popular on the medical marijuana market today.